Accounting/Credit - Bath Lumber Co.
Bath Lumber Co. has a full service Credit and Accounting department. We offer In-House Charge accounts(OAC), Cash Accounts, and Contractor Discounts. 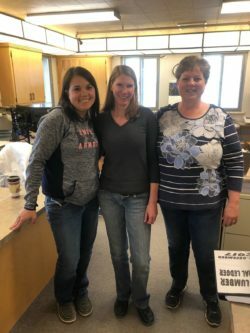 Come in and see our Cheerful group of ladies, Danielle Foley(Office Manager, HR, Credit Manager), Margaret Munson (Accounts Payable, Customer Service), or Kata baker (Contractor Sales, Accounting, Customer Service) and they will make sure you are set up with the account that fits you best.